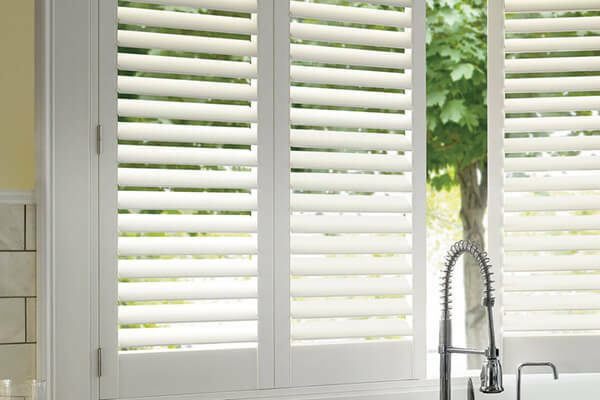 Created using a UV resistant compound, Hunter Douglas' Polysatin™ plantation-style shutters are guaranteed to never fade, chip, warp, crack, peel, or discolor. 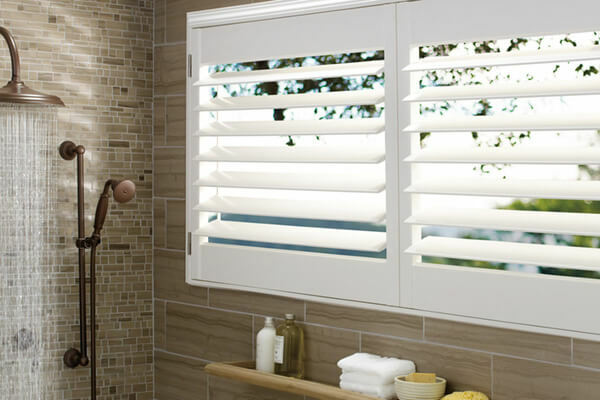 Louver Sizes 2 1/2", 3 1/2" or 4 1/2"
Heights 8 7/8" to 120"
Custom-crafted in the United States with superior quality, Palm Beach Polysatin™ Shutters allow Overland Park homeowners to enjoy the look of a finely-painted shutter with the protection of a UV-resistant Polysatin compound. Tough enough for even the hottest and wettest environments, Hunter Douglas guarantees they will never chip, crack, discolor, fade, or warp. Not to mention, they are covered by a limited lifetime warranty. Learn everything there is to know about interior plantation shutters by checking out our Plantation Shutters Buyer’s Guide for 2019! Design consultation, window measurement, product preparation, and professional installation provided by Custom Shutters by Doyle. "Fantabulous! Paul and Rhonda are professional and efficient, and their work is impeccable! Custom Shutters by Doyle is our "go to" sub-contractor for beautiful plantation shutters." "Great communication from start to finish. Everything on-time and according to schedule. Great quality product at a very competitive price. I would definitely recommend them." "Our window treatments were installed with professionalism and promptness. They look great and we get lots of compliments on them! We highly recommend Custom Shutters by Doyle!" Get design tips and ideas straight to your inbox!